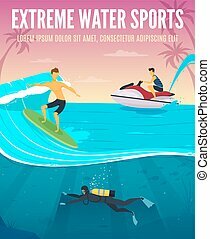 Extreme Water Sports, Outdoor Games Concept Vector Illustration, Flat Style. 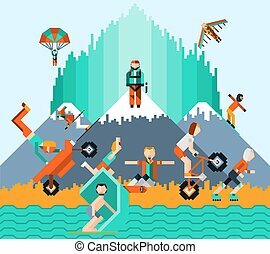 Vector illustration of surfer riding on ocean wave, diver underwater, people paddling, playing frisbee. 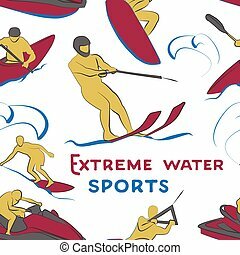 Beach activity, extreme water sports, outdoor games concept design element in flat style. 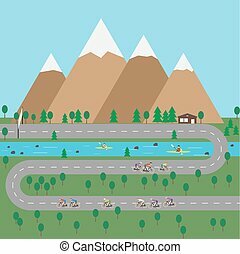 Vector illustration of father and daughter playing with paper boats on bank of river or lake. 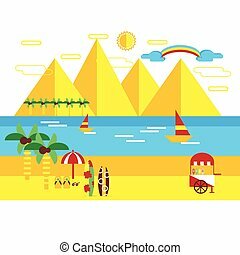 Family vacation, outdoor leisure games flat style design element. 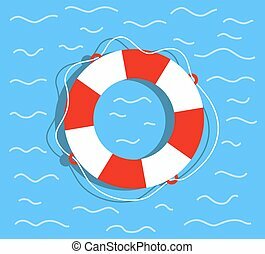 Lifebuoy on the water. Flat style vector illustration. Gambling concept vector in flat style. Casino chips, dice, money. Illustration for gambling industry, sport lottery services, icons, web pages, logo design. Isolated on green background. 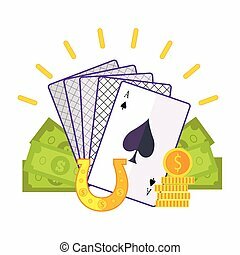 Gambling concept vector in flat style. Cards, horseshoe, dollar bills, golden coins. Illustration for gambling industry, sport lottery services, icons, web pages, logo design. On white background. 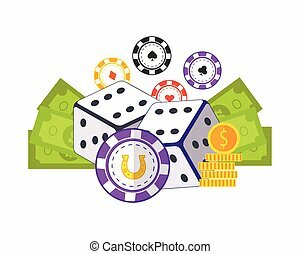 Gambling concept vector in flat style. 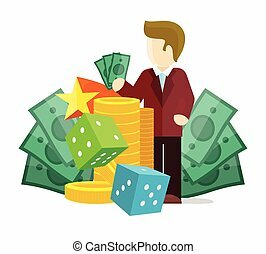 Dice, money, croupier, winner, gold cions illustrations for gambling industry, sport lottery services, icons, web pages, logo design. On white background. 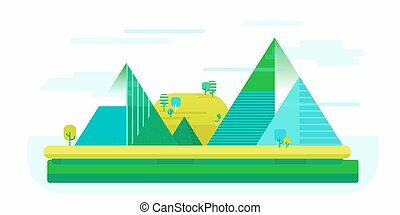 Vector flat illustration of nature colorfull landscape with mounties in simple style, outdoor concept. 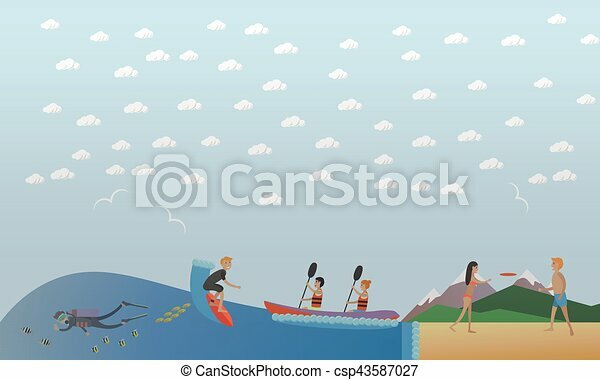 Kayaking concept vector illustration. 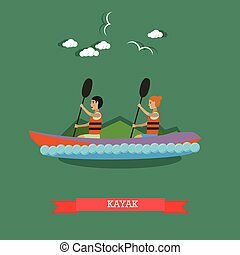 Kayak, couple paddling. 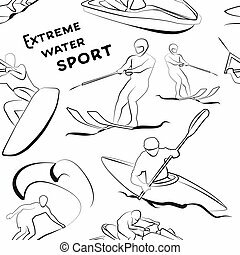 Extreme water sports, flat style design element. 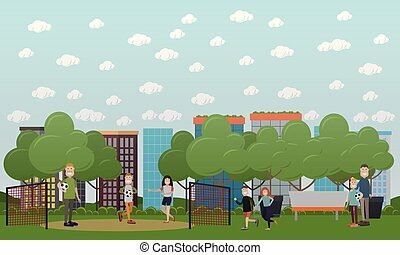 Vector illustration of fathers playing football with their kids. 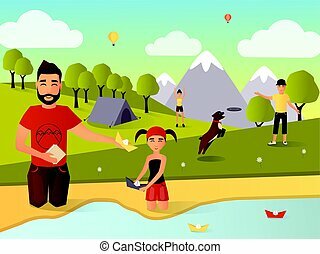 Family outdoor games concept flat style design elements. 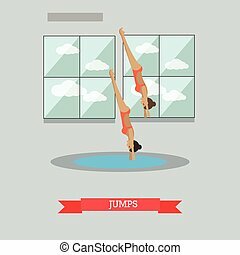 Vector illustration of swimming pool and people male and female doing water sports. Diving, synchronized swimming, water polo concept design elements in flat style. 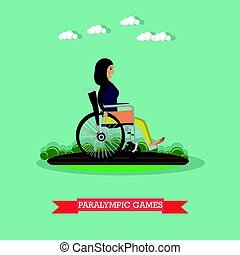 Vector illustration of disabled woman athlete in wheelchair taking part in sports competition. Paralympic games concept design element in flat style. 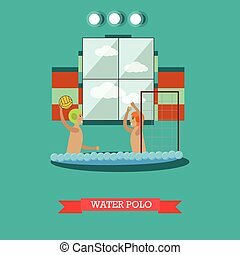 Vector illustration of swimming pool interior and young men playing water game. Water polo concept design element in flat style. 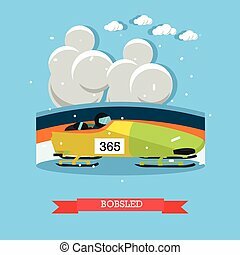 Bobsled concept vector illustration. 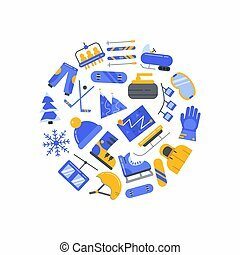 Winter sports bobsleigh competition flat style design element. Vector illustration of man with frisbee plastic disk. 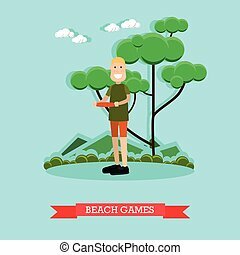 Beach games concept design element in flat style. 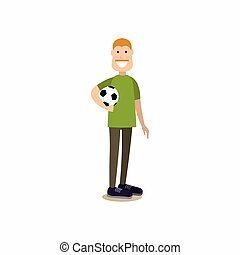 Vector illustration of daddy holding ball. Father concept flat style design element. 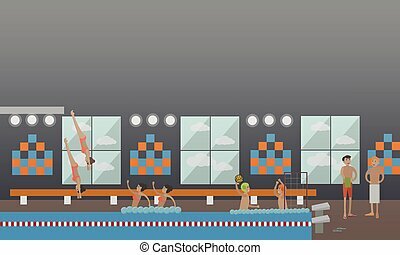 Vector illustration of swimming pool interior and sportswomen jumping into water. Diving, springboard or platform diving concept design element in flat style. 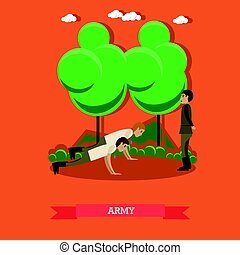 Vector illustration of two soldiers doing push-ups. Army concept design element in flat style. 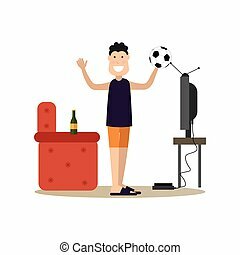 Vector illustration of father with ball watching football on tv. Family people concept flat style design element. 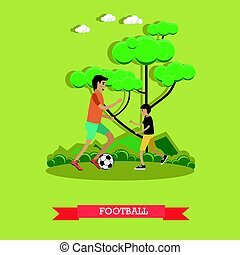 Vector illustration of father and his son playing football. Childcare and parenting concept flat style design element. 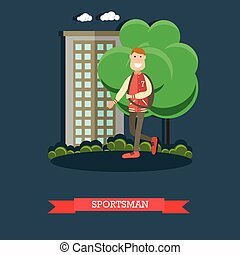 Vector illustration of school team boy walking in the street. Sportsman concept design element in flat style. 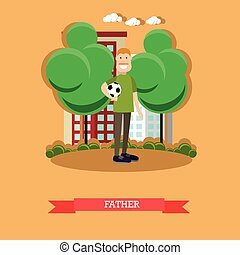 Vector illustration of father holding ball. Family people concept flat style design element, icon isolated on white background. 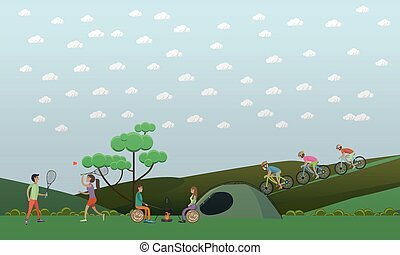 Vector illustration of people sitting at the campfire near the tent, playing badminton, cycling. Camping with tent, summer outdoor activities concept design element in flat style.